Without a doubt, the question I’m most often asked is: what equipment do you use? 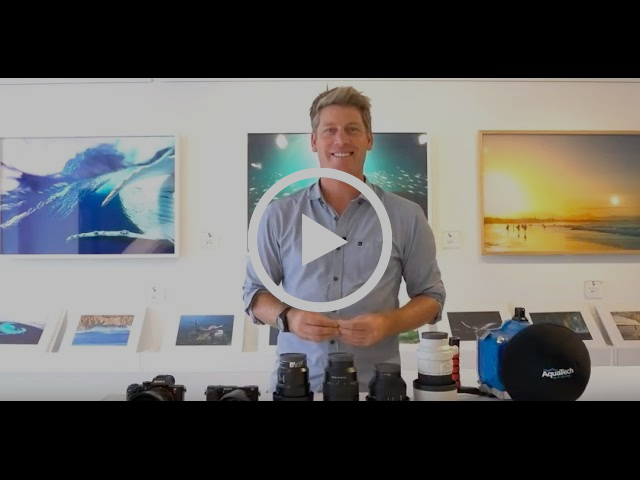 So this month I walk you through my current set up and show you what’s in my camera bag… Check it out below…. Thanks to everyone for sending in their their camera and photography questions – keep ’em coming and if there’s something specific you’d like me to cover in an upcoming newsletter be sure to let me know! I’m currently wrapping up a photography workshop in Botswana where we’ve had an incredible time and had some amazing encounters – I’m looking forward to sharing the adventure with you all in the next edition of Odyssey. In the meantime if you’re in Byron Bay be sure to swing by the gallery and say hi to the team – we’re open everyday 10am to 5pm (Shop 7, 8 Fletcher Street, Byron Bay).